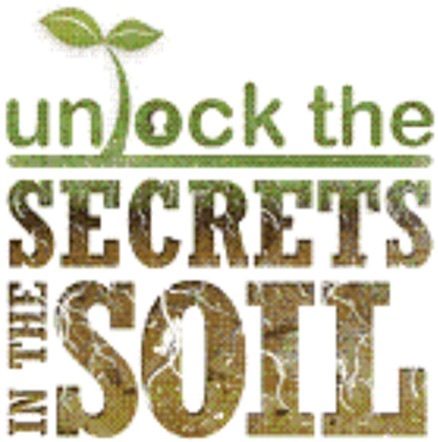 UC Cooperative Extension cropping systems specialist Jeff Mitchell is issuing a standing invitation to the public to visit the site of an ongoing conservation agriculture research project and see for themselves the results of long-term soil building practices. “Every Friday morning from 9 o’clock till noon, beginning in February and going through June, I invite folks to come to the project site to see up close and personal just what soil health means,” Mitchell said. The research site is at the University of California’s West Side Research and Extension Center, 17353 W. Oakland Ave., in Five Points. “I promise to be out there every Friday morning from Feb. 15 through June 26,” Mitchell said. The project, funded by the Natural Resources Institute, compares plots that have been managed for more than 20 years in an annual rotation of cotton, processing tomatoes and, more recently, sorghum, garbanzo beans and melons under four different treatments: no-tilled plus cover crops, no-tilled with no cover crops, conventionally tilled with cover crops and conventionally tilled without cover crops. “What we’ve got at this site is a very long-term example of exactly what implementation of a small set of soil care, or soil health, principles really means for soil function and management,” Mitchell explained. Mitchell said that the study site in Five Points is a valuable resource for the people of California because of its dedicated adherence to principles that are widely touted to improve production efficiencies, reduce dust emissions, sequester carbon and reduce inputs over time. According to Mitchell, the NRI Project field is already “the most visited research field in the state,” but with this new invitation, he is hoping to have still broader impact. “We’ve got a simply amazing resource here and I want folks to see it,” he said. The study has been selected as one of the monitoring sites of the North American Project to Evaluate Soil Health Measurements that have been initiated by the Soil Health Institute of Morrisville, N.C. More than 20 peer-reviewed scientific articles have been published based on work done in this study field. Grow On is a tool developed by Bayer Crop Science that farmers can use to identify, apply, and communicate sustainable farm practices. Grow On is made up of six different ag sustainability focus areas. This includes water, biodiversity, soil health, greenhouse gasses, labor, and food waste, all of which are important factors in sustainability. California Ag Today spoke with Nevada Smith, Western Region Marketing Manager for Bayer Crop Science, about the six focus areas. “Food waste. How do you approach food waste? This is a big topic from a global aspect. Massive amounts of produce goes to waste. How can this food waste be utilized? I spoke to a grocer recently. 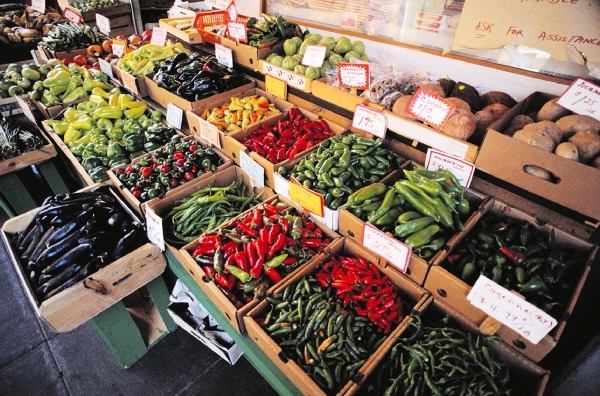 They said they’re losing 30% of their food to food waste,” Smith explained. Labor is affecting everybody in California. “And new labor laws are making business hard for small farmers. The minimal wage standard is a challenging issue, but how do growers become more efficient? How do they understand what the platforms are doing from a grower perspective? Smith said. For more information on, visit: cropscience.bayer.us. Is Algae in Soils a New Frontier in Plant Health and Yield? “While we work with hundreds of algae species, the algae we are currently marketing for plant agriculture is a green algae. It is actually subject to genetic classification so I couldn’t even tell you the exact species at the moment,” noted Smith. “We’re working on several others as well. We have often seen in our early stage testing that many different kinds of microalgae have different positive effects on plant agriculture, so we’re bringing many of them along,” he said. Similarly, many university researchers are taking a closer look at algae. “We have about 30 university and contract research studies in, and we are working with growers. We have been selling the product in what I would consider almost a beta launch mode for about two years. So, we probably have about that same number of grower trials—maybe even double that,” said Smith. Having the algae in the soil not only increased yields, according to Smith, it increased crop quality and strengthened the soil. “Benefits include root mass; in fact, we saw a 20 percent root mass increase in cotton. We have also seen the plant’s ability to grow in stressed environments such as heat stress and drought stress, in some of the work UC Davis did for us. We saw a 25 to 30 percent increase in overall yield in the stressed soils in which the algae was present, as compared to the control,” Smith explained. Could it be that algae may be the new frontier in plant health and yield? “Yes, we’re very excited about what we’re doing. I would say we are opening a field here that nobody else is really paying attention to. I think that you will be seeing more of these products come to market, hopefully helping growers get better results in a restorative and natural way,” Smith said. While many research budgets have already been stretched thin to deal with the drought, soil research has been funded largely by the healthy soils initiative from the USDA. In case you missed it, we are posting the article, “Let’s Focus on a Farm’s Performance, Not its Size,” with permission, from Environmental Defense Fund’s Growing Returns blog. What comes to mind when you think of a “family farm?” You’re probably picturing a bucolic spread of less than 100 acres, with a red barn, farmer in overalls, and cows grazing a big pasture. What about the phrase “corporate farm” or “?” Do you see a giant, impersonal and industrial-looking operation? Unfortunately, these common (mis)perceptions are regularly promoted in everything from TV ads to online chats. But the reality is that “big” does not equate to “bad,” and “small” doesn’t necessarily mean “good” when it comes to sustainable farming. In fact, it’s the wrong debate altogether. What really matters is performance, not size. Today is National Agriculture Day, celebrated annually on March 18, and this year’s theme is sustaining future generations. If we’re going to meet the needs of a rapidly growing population, we’re going to need large and small farms alike. And no matter their size, they’ll need to minimize their impacts on the natural systems that sustain us all. It’s a myth that large farms can’t be sustainable, just as it’s a myth that all family farms are small and better for the environment. Take Christine Hamilton, for example, whose family farm produces corn, soybeans, winter wheat and cattle across 14,000 acres in South Dakota. For years she’s been participating in USDA conservation programs, using no-till practices, planting trees to limit erosion, and utilizing variable rate technologies to improve the environment and her yields. There are also places like Fair Oaks Farms, which milks over 500 cows … an hour. To make their large operation more sustainable, Fair Oaks pumps methane from its livestock to an on-site natural gas station that compresses it into fuel for the farm’s fleet of 40 milk trucks. 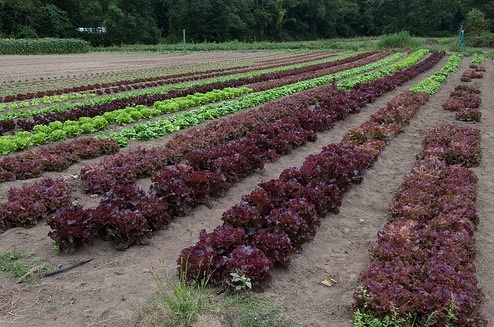 Many small-farm operations implement sustainable practices as well. A perfect example is Full Belly Farms, a 400-acre organic farm in Northern California that won last year’s prestigious Leopold Conservation Award. But I’ve visited small farms where livestock roam freely into streams, soil erosion destroys riverbanks, and nutrient management plans are nonexistent. In the U.S., agriculture already occupies 51 percent of our land, uses 80 percent of the [Nation’s consumptive*] water, and is responsible for 8 percent of our greenhouse gas emissions. And in the coming decades U.S. farms will be responsible for producing even more food. In order to make agriculture a plus for the environment, farm practices will need to change. Of course, we have to keep in mind the context here. Mid-size and large-scale family farms account for 8 percent of U.S. farms but 60 percent of the value of production, so in order to bring sustainable agriculture to scale, they will have to do the bulk of the work. But small farms have a much higher share of production for specific commodities in the U.S. – they account for 56 percent of domestic poultry production, for example – so we’ll need their leadership, too. Minimize the loss of nutrients and soil to air and water through nutrient optimization strategies such as conservation tillage. Use water as efficiently as possible. Improve soil health through strategies such as cover crops. Avoid plowing up ecologically important lands. Use strategically placed filters to capture excess nutrients. It’s time we shift the public debate and get everyone on board the sustainability train. Arguing about a farm’s size won’t deliver environmental benefits. In the end, it’s all about performance. “Consumptive water use” is a use of water that removes the water from the system so that it cannot be recovered for reuse by some other entity. Consumptive uses may be beneficial or non‐beneficial. A beneficial consumptive use would be crop evapotranspiration. Evapotranspiration (ET) is the amount of water transpired by plants, retained in plant tissues, and evaporated from plant tissues and surrounding soil surfaces. If the basis for the discussion is water consumptively used by only agricultural, municipal & industrial users, then agriculture’s share would be estimated in the range of 80 percent of the total. However, if the percentage is based on dedicated water, which includes environmental uses, then agriculture’s share is more in the range of 40 percent. Dedicated water includes water flowing in the Wild and Scenic Rivers. Many partially used or unrestricted rivers could have been significantly diverted for use by municipal & industrial and/or agriculture. However, these waters have been dedicated by law to the environment. Other examples of dedicated water are the 800,000 acre‐feet/year reallocated back to the environment by the Central Valley Project Improvement Act (CVPIA) and the 647,000 AF/year reallocated back for Trinity River restoration of that river’s fishery. The Environmental Defense Fund (EDF) works directly with businesses, government and communities to create lasting solutions to the most serious environmental problems. EDF’s Growing Returns Blog posts news about the organization’s goal of meeting growing demands for food in ways that improve the environment.